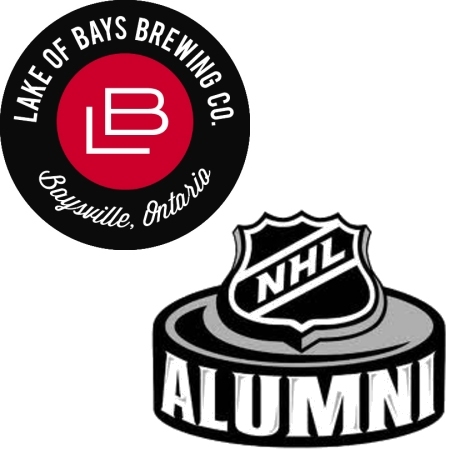 BAYSVILLE, ON – As announced here on CBN last month, Lake of Bays Brewing is partnering with the NHL Alumni Association on a series of beers to promote and support the organization. Now, a few more details have been announced about the beer that will launch the partnership. Described as a “golden lager made with German noble hops and Canadian malt,” the first Lake of Bays/HNLAA beer will be a year-round product that is expected to be debuted around the start of the 2013-14 NHL season. The yet-to-be-named beer was chosen from several pilot brews earlier this month when several members of the HNLAA visited the brewery for a tasting session and a pick-up ball hockey game. It will be launched initially at LCBO outlets in Ontario, and on draught at select bars and restaurants in Ontario and Northeastern United States, followed by an expansion to Western Canada later in the year.